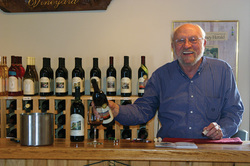 Taste top-rated wines and artisan beers! All paired to work perfectly with your tasting menu! Featuring wines from Ventimiglia Vineyards and Best Cellars and artisan beers from Cricket Hill Brewery and Defiant Brewery. Come meet Rick Reed from Cricket Hill and sample three of his handcrafted beers. There will also be food pairings! ​The team at Defiant use top-notch raw ingredients to brew outstanding beer. Their passion for innovation shows in the variety of offerings you’ll find at Taste of Westwood. Welcome to The Alementary — Hackensack’s premier microbrewery. Our mission is simple: create approachable and uncomplicated world-class beers in a brewery experience that gives our friends and neighbors a brewery that they are proud to call their own. The hand-crafted wine making of Ventimiglia Vineyard continues a family tradition passed down for generations. Our wines are made in small batches with carefully selected, top quality grapes. We use oak barrels and minimal chemical or mechanical intervention. Artful blending promotes optimal flavors, aroma, and finish. Our aim is to let you enjoy the delicious wine we share at our own table.